Thanksgiving traditions in your home can create some of the best memories for years to come. We can all think back to our childhoods and remember certain foods, dishes, games, or ways to give thanks. We grasp onto the wonderful memories and may try to forget the ones involving sketchy green Jell-O with mayonnaise in it. You may continue some of those same traditions in your home, or decide they are not really your style and search for new traditions to start with your own family. Plan a special breakfast to eat every Thanksgiving morning while watching the parade on television. Bring out special Thanksgiving decorations and dishes to make the day unique. Start a special way for your family to express what they are thankful for. Perhaps your family could find a service project to participate in on or near Thanksgiving to give back to the community, or open your home to those without family in the area. 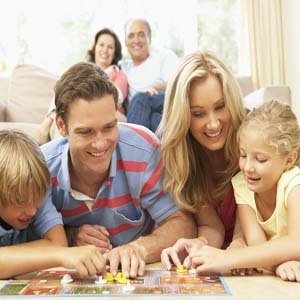 Choose a game or activity that everyone participates in after the meal. Laughter is one of the best sounds to hear in your home. Even though laughing may be a little hard on a full stomach, it is worth the effort to find traditions that spread joy in your home.